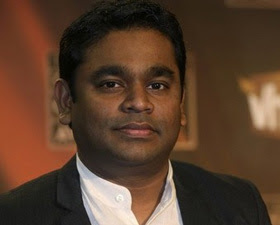 Indian music maestro AR Rahman created history on Sunday night by winning the Golden Globe Award. At a glittering ceremony in Los Angeles, Rahman bagged the Golden Globe for Best Original Music Score for ‘Slumdog Millionaire’. The film also won the award for Best Screenplay at the 66th Golden Globe Awards ceremony. Rahman bagged the Golden Globe for his song ‘Jai Ho’, penned by lyricist Gulzar. The Golden Globe Awards have now set the countdown for next month's Academy awards. The film, which is the story of a Mumbai underdog's rags-to-riches run, had earned four nominations, including for Best Picture-Drama, Best Director for Boyle and Best Screenplay for Simon Beaufoy. ‘Slumdog…’ is based on a novel by Indian diplomat Vikash Swarup and stars actors Anil Kapoor and Irrfan Khan in the lead among others. The film has been shot at various locations in Mumbai including Victoria Terminus railway station, which was targeted by terrorists on November 26, last year. Boyle's feel-good film depicts the moving story of a slumdweller Jamal, who goes on to win USD 20 million on Indian reality show 'Who Wants to Be A Millionaire?' in a bid to win his love back.